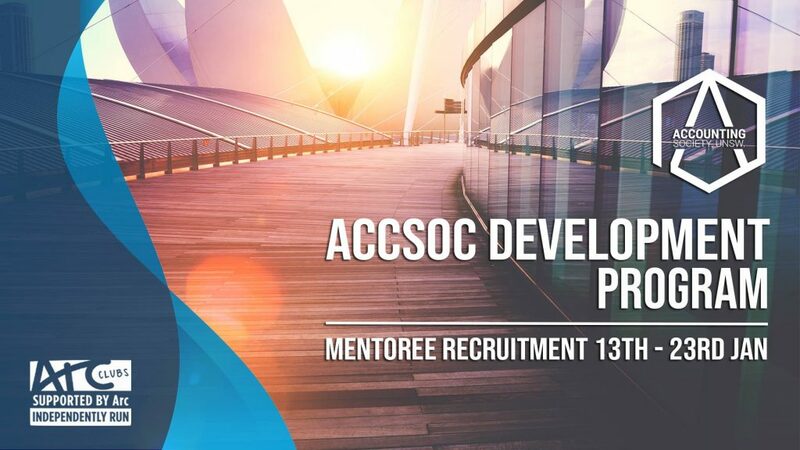 The AccSoc Development Program is a flagship program run throughout the year, and despite the incoming change towards trimesters, that’s not going to change. This program is an opportunity for students who have gone through the works of uni life and working in the industry, to share their wisdom and experiences to less experienced first year students keen to make a start on their university journey. You’ll be required to meet up with your ADP mentee approximately once a week to talk about a suggested topic of discussion or anything relevant as well as attend compulsory social and educational events that will help not only your mentee develop but also you, the mentor. ADP is an approved AHEGS program, so by participating as an ADP mentoree, it’ll be officially recognised on your Australian Higher Education Graduate Statement (AHEGS) upon graduation. In order to receive this mentoring recognition, a total of 20 hours of mentor/mentee interaction needs to be completed, which aligns perfectly with the required compulsory activities within this development program. So what’s not to like! ADP mentorees also have the opportunity to network with an industry mentor in our Professional Development Program (PDP) during trimester 1 and 2. So not only will you be mentoring an ADP mentee within trimester 1, you’ll have the option to be mentored by an experienced industry rep for both trimesters 1 and 2. Do note, that although there is an advantage in being well versed on industry knowledge, there are no prerequisites in applying to be a mentor in this program. As long as you exhibit your desire to encourage development and create deep connections, you’ll have as good an application as any other applicant with industry experience. Applications close on Wednesday 23 January at 11:59 PM and are being accepted on a rolling basis!